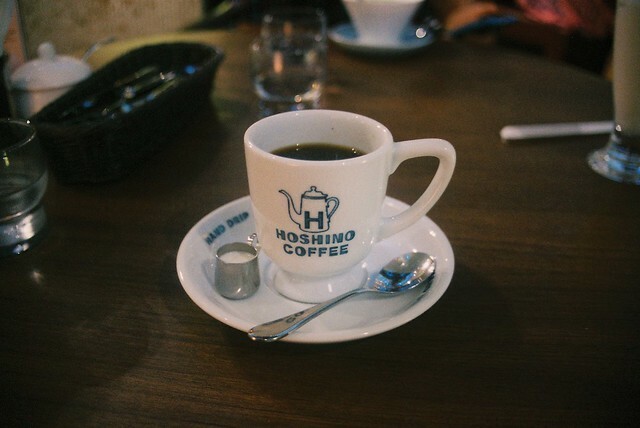 Newly opened Hoshino Coffee at Plaza Singapura. 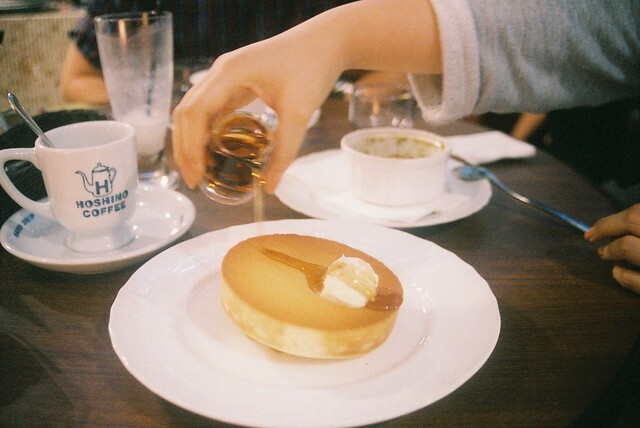 Food from the menu was good, but I am not convinced about the pancake souffle (the highlight of the desserts menu). Oops! I unintentionally missed out last week's edition of Link-Ups. I blame my aching thigh and calves muscles. Why? Because I just started a kickboxing class after weeks of inactivity and the instructor was torturous! Although my muscles were aching something horrible, it felt good to get some aerobic action in my life again. I have been feeling very sluggish lately and I need to get some blood pumping! Anyway, to make up for being MIA last week, I have double the usual amount of links to share. Enjoy! x One day in Osaka with Sarah. x Sally J Shim visits the Jinhae Cherry Blossom Festival. The cherry blossoms in Korea are lovely. With Airasia now offering (almost) direct flights to Busan, two other friends and me just made a pact over Friday night drinks to fly to Busan next year in April to see the Jinhae cherry blossoms with our own eyes. I can't wait to make this a reality. x Mr and Mrs Globetrot (Yuriy and Julia) shares a sneak peek from their recent trip to Iceland. I cannot wait to see the rest of it! x I am always thinking of how to make my office table a little more fun. After all, I spend more time at the office than I spend at home. May as well make it look good right? DesignLoveFest just redecorated her space and this is way beyond what I always dreamed about. But here's something that I can actually do, once I neaten up my wires. Why does Windows have so many more wires than Macs. x Justin Zhuang (noted local writer) puts together a list of indie magazines and journals in Singapore. I read or own about half of the publications on the list, but there are some I have not heard before and I am looking to get my hands on them for a browse. x Don't sit around moaning about the horrible job market, get up and figure out how to score your dream internship. x If you are about to embark on an internship this summer, you'd better read this. As someone who hires and works with interns at my 9-5, I found myself nodding along to a lot of the points. I liked the jinhae cherry blossom & office makeover links!